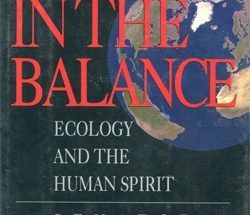 This list, a collective effort by members of various U.S. environmental groups at the invitation of Earth Island Journal, was compiled and edited by Gar Smith, the journal’s editor. I published this back in a 1992 edition of Speak Up America, the newsletter. It would be funny if it weren’t what they really want. Believe it. Have your power lines disconnected. Restrict the population of motor vehicles. Replace roads with homes, parks, and gardens. Halt weapons production and exports. Stop the sale, distribution, and export of cigarettes. Send money to Brazil to provide urban jobs for impoverished workers now forced into the rain forests. Blockade a lumber truck carrying old-growth trees. Spend a month tree sitting. Try to live for a year on about $140 a month -the world’s average monthly income. Undertake a “conservation Sabbath”- one day a week without consuming electricity or fuel. Fast one day each week and send the money saved on food to help feed the hungry. Raise the minimum wage to a survival income. Enact a maximum wage law. Tie politicians’ salaries to the average working wage. Replace majority rule with proportional representation. Replace the Electoral College with direct democratic elections. Abolish the CIA and the National Security Act of 1949. Pass a nature amendment to the U.S. Constitution. Oust presidential adviser John Sununu. Plant one new tree every day. Go to jail for something you believe in. Allow all beef-producing domestic cattle to become extinct. Redirect the military budget to restoration work; convert weapons factories to peaceful research; retrain soldiers for ecological restoration. Remove the U.S. Forest Service from under the Agriculture Department; place USFS, the Bureau of Land Management, and the Fish and Wildlife Service under the Environmental Protection Agency. Don’t eat anything that comes in a package. Don’t buy anything that comes in a box. Require operators and owners of nuclear power plants to live within one mile of the plant site. Mandate federal recycling and institute a refuse tax on solid waste. Pipe polluted water back into the water supplies of the companies that do the polluting. Don’t own anything that runs on batteries. Hand over all excess packaging to a store manager on each visit to the grocery store. Travel by bus, never by air. Stop using toilet paper and Kleenex; use washable cloth. Extend the life of your wardrobe by learning to make and mend your own clothes. Give money to every single panhandler you meet. Democratize your workplace; start a union or collective. Ask your boss if you can take a day off to work on healing the planet… with pay!